Don’t answer a different question. Keep your voice up and speak clearly and not too fast (the Judge and lawyers are trying to write down what you say). Don’t get involved in an argument when being cross examined – you won’t win – and you’ll create the wrong impression. Don’t second guess where the questions are going, just answer the question truthfully. Don’t worry if you think the answers are damaging to your case. Your lawyer can deal with any such damage later. If you really don’t know the answer then simply say, “I don’t know.” You can’t use this for every question though! It is not really a memory game. Keep your answers shorter than your instincts tell you. When you are not giving evidence and are just sitting in court, the Judge is still assessing you and weighing you up – so reactions and responses all get noted! If you have prepared properly then just answer the questions. Some homework may be necessary. For example: You will be asked about the cost of your proposed new housing needs. Why must you have that much money or why can you not live in this house or that house? Do your homework and check the market. Spend some time going through Rightmove or Primelocation or estate agents websites. Look at room sizes, location. Go see the area or view the property. 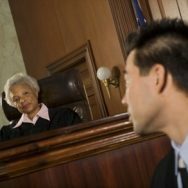 Preparation is the key to all court hearings not just by your lawyer but by you as well. You are there to give evidence on what you think as a parent is right for your child. If your objections are against the other parent then be clear that your points are about their parenting and not about personal animosity since this will be found out. The Judge is looking solely at the best interests of the child. What each parent wants for themselves is irrelevant.